What do we celebrate on 20th August? 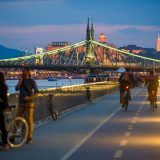 Where are the 20th August events held in Budapest? Where will I get a good view of the 20th August fireworks? Festive supper in the Gellért! 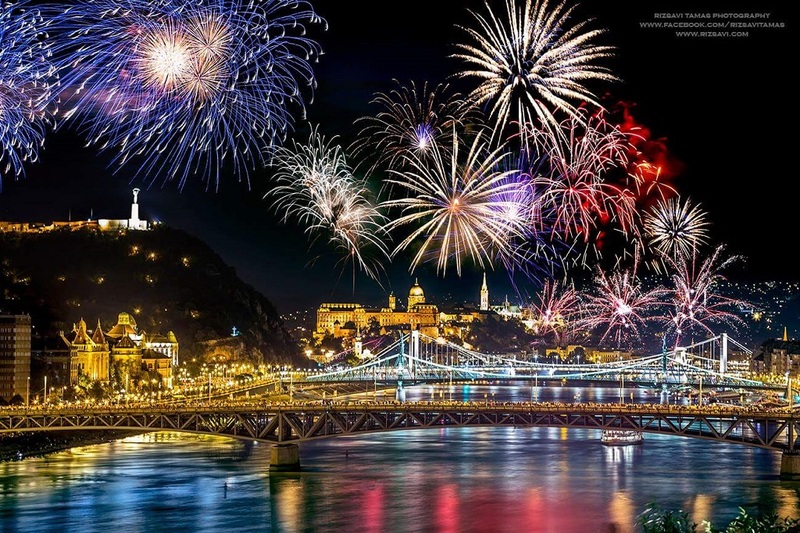 The 20th of August is a very special celebration in Hungary. It’s one of our oldest national holidays, when we celebrate the foundation of our state, the state’s founder Saint Stephen, and the “festival of new bread”. 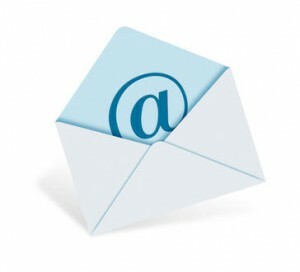 It’s not only a national holiday, but also a state occasion, so numerous official events also take place on this day. The swearing-in of new military officers, water and air shows, ceremonial speeches and the spectacular firework show are all among the traditional programmes; but more recently, a number of other festivals have come to be associated with this red-letter day. What’s more, this year 20th August falls on a 3-day weekend, marking the end of summer. The 20th of August: Saint Stephen’s day, when we commemorate the foundation of the Christian Hungarian state more than a thousand years ago. During his reign, Stephen I declared 15th August the Day of Our Lady. It was on this day that he offered up the country to the Virgin Mary, and it was also on this day in 1038 that the king himself died. The date of the celebration was moved to August 20th by the king Saint Ladislaus, because on this day in 1083, with the blessing of Pope Gregory VII, the relics of Stephen I – the Holy Crown and the Holy Right Hand – were raised to the altar in the Basilica at Székesfehérvár, an act that was equivalent to canonisation. From the reign of King Louis the Great onwards, 20th August continued to be observed as a religious festival. But later, when Pope Benedict XIV reduced the number of church celebrations in 1771, Saint Stephen’s day was left out of the liturgical calendar. Later, Maria Theresa ordered the reinstatement of Saint Stephen’s day, and even had it added to the calendars as a national holiday. After the crushing of the 1848 revolution, 20th August was not allowed to be held as a national celebration for a long time, as Saint Stephen was a symbol of the independent Hungarian state. After the 1867 Compromise, the day regained its former special status, and in 1891 it was declared a public holiday. It remained a national day until 1945, when it was abolished, although continued to be publicly celebrated as a religious festival until 1947. The communist regime did not officially recognise the religious and national associations of the occasion, so it was renamed the “festival of new bread”. Between 1949 and 1989 it was celebrated as Constitution Day. 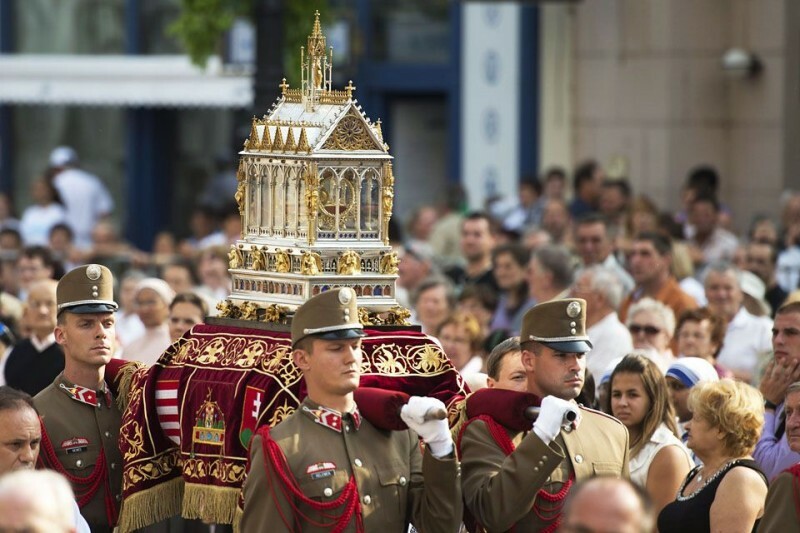 After 1989, the old traditions were revived, the procession of the Holy Right Hand was held again, and Saint Stephen’s Day became an official state celebration of the Republic of Hungary. 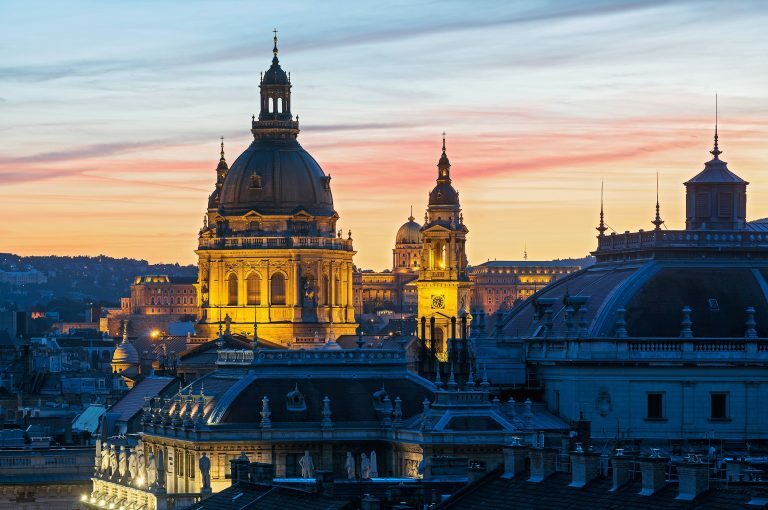 The festive programmes on this auspicious day are usually held in Kossuth Square in front of the Parliament building, in and around Saint Stephen’s Basilica, in the Castle Garden and Buda Castle and on the banks of the Danube. 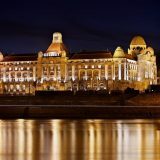 The official state celebrations are held in Kossuth Square in the morning, culminating in a spectacular water and air show. The afternoon is given over to fun family programmes and the ceremonial holy mass and procession at the Basilica, while the highlight of the evening (literally) is the fireworks display. 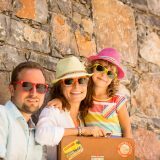 Because this year 20th August falls on the last day of a 3-day weekend, there are countless colourful and exciting family programmes, culinary and musical festival events to choose between. 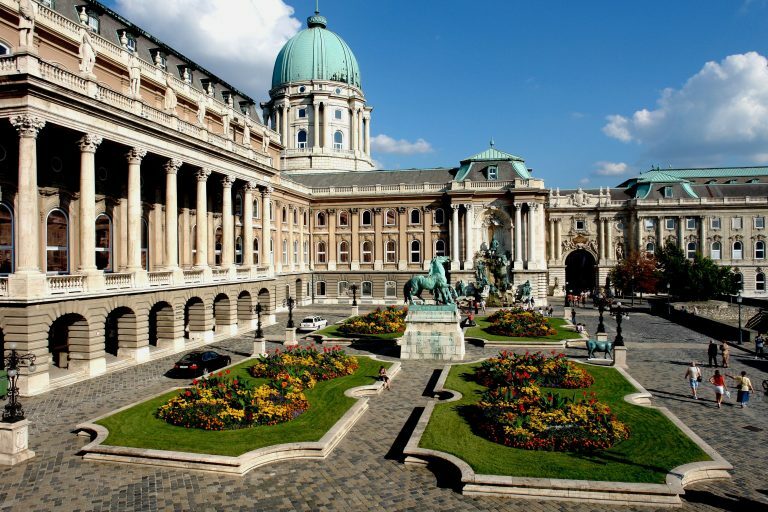 The Street of Hungarian Flavours and Festival of Folk Arts will be open to visitors in the Buda Castle for the whole weekend. The Street of Hungarian Flavours is free, while there is an entry fee for the Festival of Folk Arts. Held alongside the Saint Stephen’s Day celebrations of 20th August, the Street of Hungarian Flavours is sure to be one of the most popular gastronomic events of the year. This free food festival is where this year’s National Cake and the Saint Stephen’s Day bread will be presented, and countless culinary treats from every region of the country and the Carpathian Basin will be on show: fish soup from Baja, mutton stew from Karcag, a cornucopia of excellent handcrafted products, ginger-spiced sausage, a selection of pálinka (schnapps) varieties, Hungarian fish specialities, craft beers, traditional stuffed cabbage from Szatmár County. The event showcases the diverse gastronomic culture of the Carpathian Basin, exclusively from vendors who make their products from high-quality, local ingredients. A good many traditional small farmers and numerous traditional food producers will also be represented here, selling a variety of treats such as jams, fruit juices, craft beers, meat products and cheeses. It is also here that the new National Cake of Hungary debuts every year! In 2018, the title was awarded to the “Komáromi Kisleány” (Little Maiden of Komárom – named after a folk song with the same title), created by pastry chef Ádám Sztaracsek of the Jánoska Confectionary in Komárom. 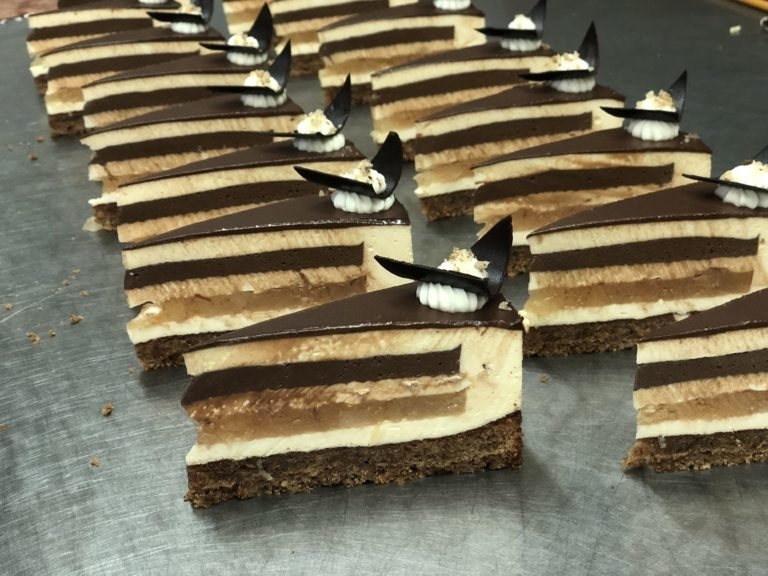 The Komáromi Kisleány National Cake is based on a honey and walnut sponge, with lemon and ginger-spiced pear compote filling, dark chocolate infused with William pear liqueur, and a crunchy cinnamon and walnut layer, encased in a vanilla and white chocolate mascarpone mousse. The flavours of the walnut, honey, cinnamon and ginger evoke the sweets traditionally served at family celebrations, and harmonise perfectly with the refreshing pear, chocolate and vanilla cream. Naturally, visitors will also get the chance to taste Hungary’s National Sugar-free Cake as well, in the form of the Három Kívánság (Three Wishes) cake by the Nándori Confectionary. 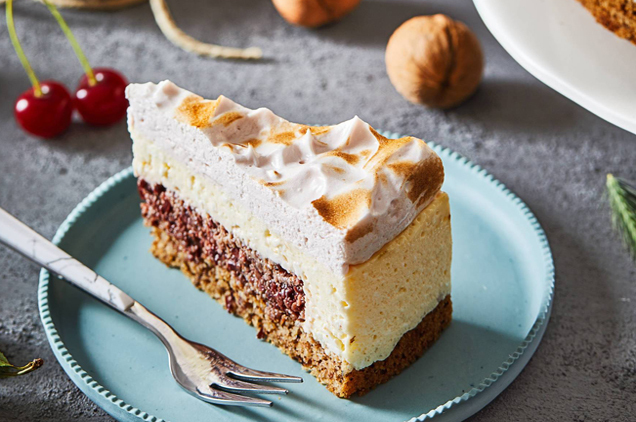 The cake has a home-made feel, and its three dominant ingredients are the chia seed, walnut and almond sponge, sour cherry and coarse cottage cheese, which is a Hungarian speciality. The cake is made even more refreshing by a dash of zesty lemon juice, and is topped off with a sweet “cloud” of cream. 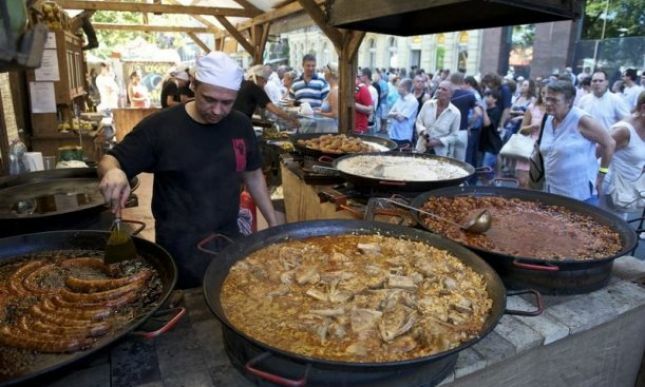 The Street of Hungarian Flavours will be open on 18-19 August from 10:00 to 24:00, and on 20 August from 10.00 to 22.00. 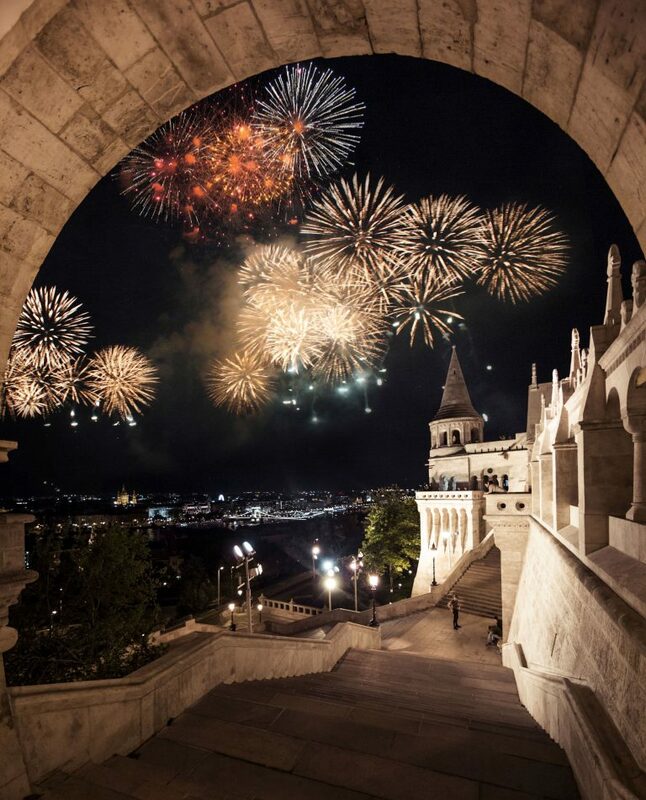 A grand folk art festival is being held in the beautiful Buda Castle, during the festive weekend in August. The Festival of Folk Arts evokes the atmosphere of fairs of old, where everyone can try their hand at folk crafts, and get a close-up view of the quality items produced by the skilled craftspeople. The highlighted theme of this year’s festival is one of the most ancient branches of folk art: weaving and spinning. Families will have a great time, with almost 1000 master craftspeople, several hundreds of performers, whole-day programmes of stage performances, craft presentations, masterpieces of craft food and a folk playhouse to enjoy. The littlest ones will be able to enjoy themselves in the Baby Playhouse, and there will be plenty of fun for people who like traditional games of logic and skill, and sports. The Festival of Folk Arts is open on August 17-19 from 10:00 to 23:00, and on 20 August from 10:00 to 21:00. Entry to the event is free for children under 4 years of age, HUF 1,500/day for children between the ages of 4 and 18, and HUF 2,500/day for adults. That’s a very important question! The quays on the banks of the River Danube are always full of huge crowds, so it’s better to find a spot further away with an unobstructed view of the river. 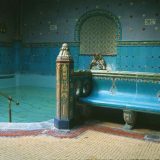 For the perfect experience, you need to go to the Hilton Budapest. 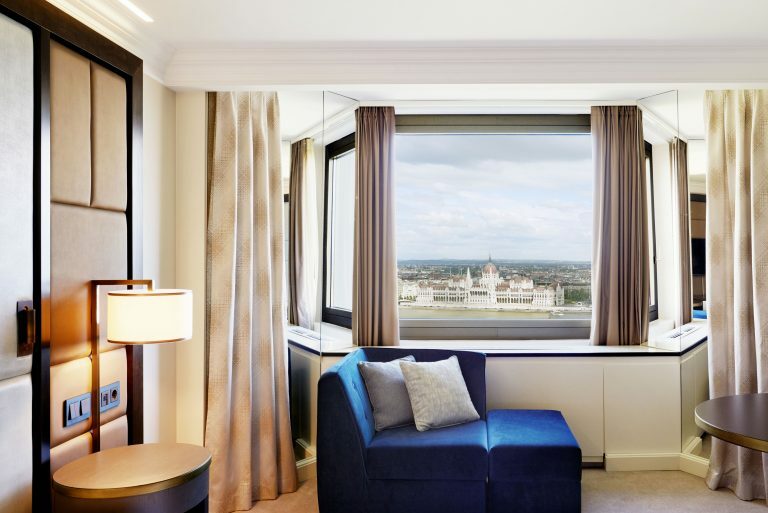 There are still rooms available – renovated rooms with panoramic views of the Danube, to be precise – from where you can enjoy the festive fireworks in total comfort. 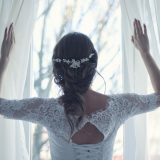 The price of a room overlooking the Danube is HUF 72,000 a night, which includes a buffet breakfast for two people, as well as the mandatory taxes. The discounted price is valid for 18-20 August for bookings of at least two nights, so you’ll be in the perfect place to enjoy the time of your life during the holiday weekend, within easy reach of all the programmes in the Castle. You could even top off the celebration with a unique culinary experience, as on 20th August the ICON Restaurant in the Hilton will be holding a festive buffet supper, with food specialities freshly prepared by the chef in the open kitchen, accompanied by atmospheric live music. The price of the all-inclusive buffet supper is HUF 16,500 per person, which includes unlimited consumption of sparkling wine, beer, wine, non-alcoholic beverages and mineral water, but does not include the 10% service fee. The delicious supper will be served between 18:00 and 23:00, so you’ll be able to enjoy it either before or after the fireworks! 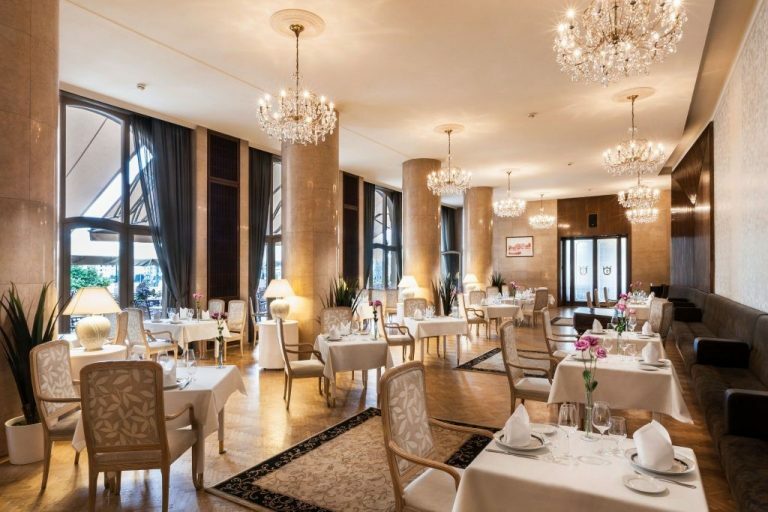 A legendary hotel overlooking the Danube, with special culinary treats and stunning views of the river. 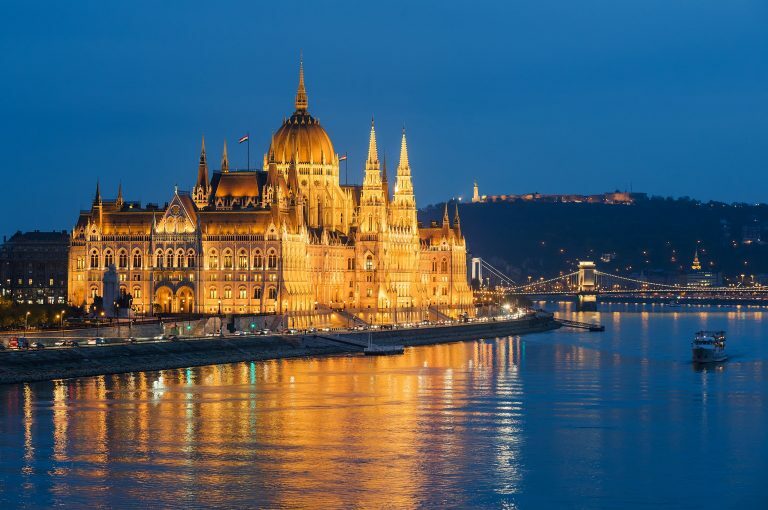 The Hotel Gellért’s Panorama Restaurant will serve its guests with an abundant buffer supper, with unlimited food and drink, to the accompaniment of festive music, on 20th August. The supper will be served between 18:00 and 23:00 – naturally subject to reservation in advance – so you can also enjoy the meal while watching the famous firework show. With at least two-dozen dishes on the festive menu, you’ll find everything you fancy – fish, game, poultry and fruit, meat and vegetarian dishes, soups and salads, iconic Hungarian desserts, and even lactose-free and gluten-free sweets. The all-inclusive buffet at the 20th August festive supper is free for children under 3 years of age, HUF 7,990 for children aged 3-12 years, and HUF 9,990 for adults, plus a 10% service fee.